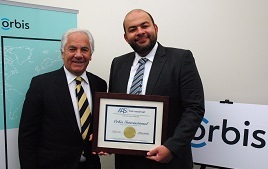 Orbis, a leading global nongovernmental organization that works to eliminate avoidable blindness, has demonstrated its commitment to patient safety by gaining accreditation from the American Association for Accreditation of Ambulatory Surgery Facilities International for its Flying Eye Hospital. To earn its accreditation, Orbis passed inspection of hundreds of important criteria concerning patient safety, the same criteria used to evaluate first class outpatient facilities in the United States and globally. Ortmann Healthcare Consulting Services assisted with the accreditation. The AAAASFI develops accreditation programs to standardize and improve the quality of medical and surgical care in outpatient facilities and assures the public that patient safety is a top priority. Given a choice, face or body enhancement, most women say it's all about the face. That's according to a recent national survey conducted by Allergan and Wakefield Research: When asked to choose either face or body, nearly 60 percent of the respondents said they'd rather have a youthful-looking face. Liquid rhinoplasty is a non-surgical technique used to temporarily modify the shape of the nose and enhance your overall appearance. For the right patient, liquid rhinoplasty is a convenient and pain-free alternative to invasive surgical procedures. It might soon be possible to eliminate Staphylococcus aureus bacteria from infected tissue using a resorbable electronic implant that's activated with a remote wireless signal, says a study published in the Proceedings of the National Academy of Sciences. Cultivating happy patients before, during and after a visit to your clinic is key to maintaining a profitable and credible practice, according to Mark N. King. One might loosely draw comparisons between a skilled artisan and the board-certified anesthesiologist, while likening operators to the certified registered nurse anesthetist. The main take-away, however, is the inevitability of change. A hospital monitor alarm can save a patient's life, as a single beep or high-pitched wail spurs doctors and nurses into action. However, the chorus of alarms that go off in the typical hospital ward can be mind-numbing to healthcare workers. According to a study by the Cincinnati Children's Hospital in the journal Pediatrics, a new team-based approach to reducing cardiac care monitors may ease alarm fatigue. A new nongovernmental organization is seeking to leverage mobile and connected health technologies to improve healthcare access for the poor in the United States. Those who visit a medical spa in Connecticut for Botox, hair transplants or other cosmetic procedures can be assured they will see a licensed medical professional there, which hasn't always been the case. The $2.8 trillion U.S. healthcare sector will soon begin acting like a "true market" as the proliferation of consumer-based approaches and devices continues and as newly-insured customers enter the system, according to PwC's annual top health industry trends for the forthcoming year. Patients who are unable to use their muscles for extended periods of time often experience weakened muscles from lack of use. But now, a new study suggests that performing mental imagery exercises can prevent the unused muscles from getting weaker. Gait training has taken a major step forward in the past several years. Patients at Memorial Rehabilitation Institute at Memorial Regional Hospital South in Hollywood, Florida, are benefiting from an over-ground gait and safety system that encourages a faster recovery and increased independence. Patients with swelling caused by cancer-associated lymphedema can both reduce the severity of the disease and the overall cost of medical care by taking therapeutic steps at home, according to a study by researchers at the Stanford University School of Medicine. After searching the internet for solutions in Southeast Asia and Latin America, Michael Lepley accidentally "stumbled upon" the Cayman Islands, bad hip and all. Most medical tourists travel by air, so a forecast of air passengers in the next 20 years is a useful planning tool, and it has some surprises. Ten years ago, Children's Hospital Los Angeles received its first patient from the Chinese mainland, with that child patient who had traveled thousands of miles seeking more advanced medical treatment, gaining celebrity status of sorts. Today, such travel is commonplace.